healthy Archives - Oy Vegan! Chag Sameach! Happy Chanukah all! 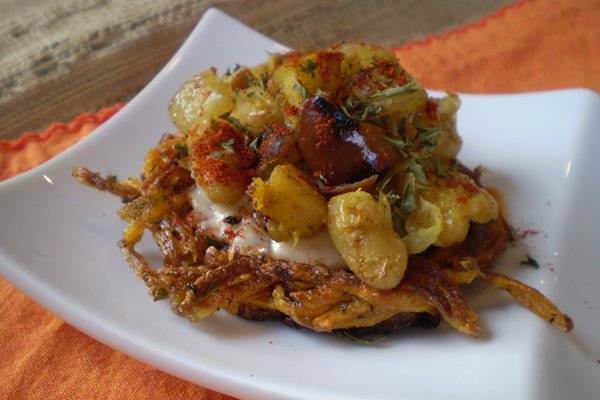 Just wanted to share my vegan latke recipe once again. Need more ideas? 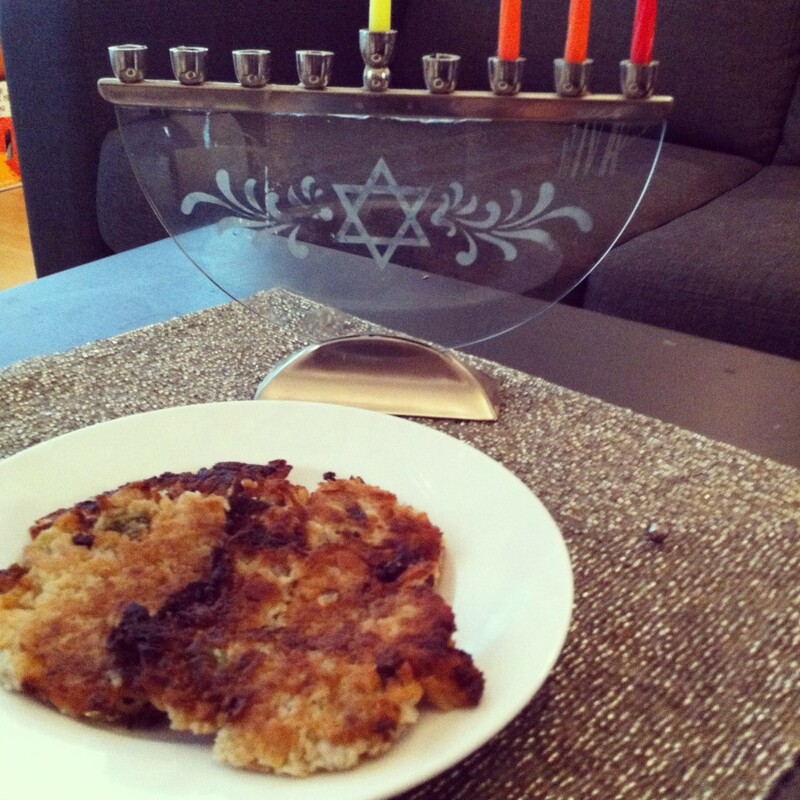 Check out these tips for hav­ing a healthy Chanukah from One Green Planet. To add to all the potato-ey good­ness, I’m super-excited to announce that I’m going to be return­ing to Israel in a few days! This will be my first time cel­e­brat­ing Chanukah in the holy land and I can’t wait! In Israel, it’s tra­di­tional to eat fried donuts for Chanukah. Check out Mayim Bialik’s vegan recipe for sufganiyot. That being said, I really love new ideas so please share what you’re going to be mak­ing for Chanukah this year! That’s right. We LOVE Hal­loween here at Oy Vegan! 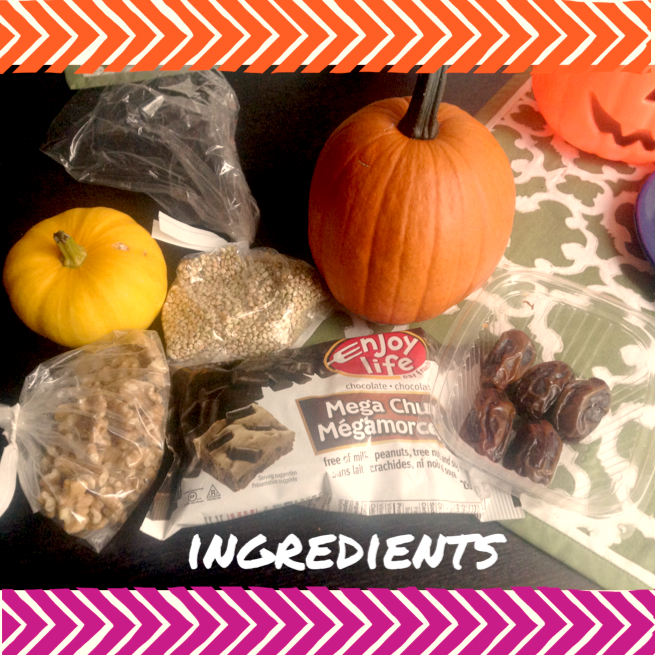 But if too much candy is giv­ing you a belly-ache, here is a super tasty and healthy treat that is incred­i­bly easy to make, gluten-free, and raw! 1. Place buck­wheat in a food proces­sor and pulse so that some of it breaks down into a flour-like sub­stance. Don’t fully blend as you want to some whole, crunchy buck­wheat in these bars! 2. Add wal­nuts, dates, and salt and pulse until the mix­ture is com­bined. Take a spoon and spoon some of the mix­ture into your hands. If the mix­ture sticks together then it is ready. If it is still crumbly, add more dates as needed and pulse. The dates are the ‘glue’ so to speak so some­times more are needed to make this bar stick together. 3. Add the raw cocoa pow­der and pulse to com­bine ingre­di­ents once again. 4. Cover a square cake pan with plas­tic wrap or parch­ment paper. No need to do this if your pan is non-stick. Pour mix­ture out of food proces­sor into the pan and press down. Press down on all the mix­ture and con­tinue to really pack it into the bot­tom of the pan. Do this for about 5 minutes. 5. Chill in the refrig­er­a­tor for at least an hour before cut­ting into bars and serving. 6. For a non-raw twist, melt some of your favourite vegan choco­late chips in a dou­ble boiler or in the microwave and driz­zle over top before chill­ing in the fridge. 7. 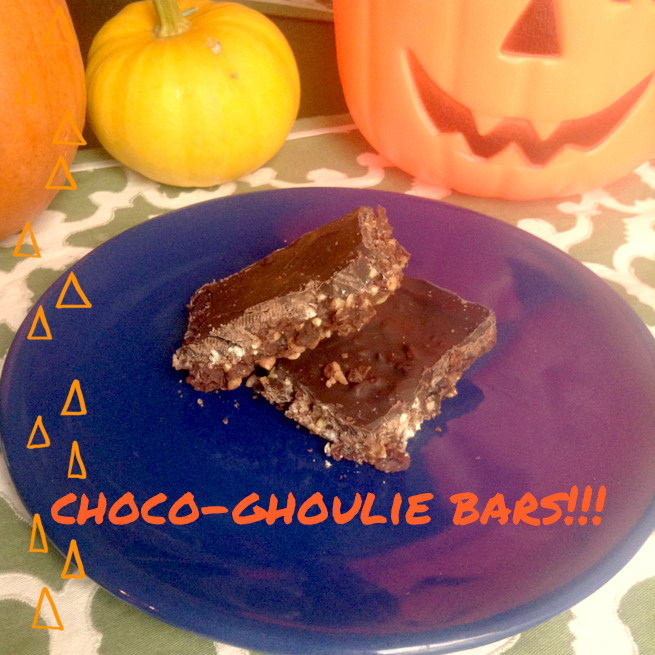 Enjoy your sin­fully healthy and tasty Choco-Ghoulie bars! Eat these bars for a speedy break­fast on-the-go or a quick snack after work­ing out. They’re also great on all hallow’s eve! How­ever, if your sweet tooth is outta con­trol, never fear! Veg­News has a com­pre­hen­sive list of Vegan Hal­loween candy so you can sat­isfy your desire. 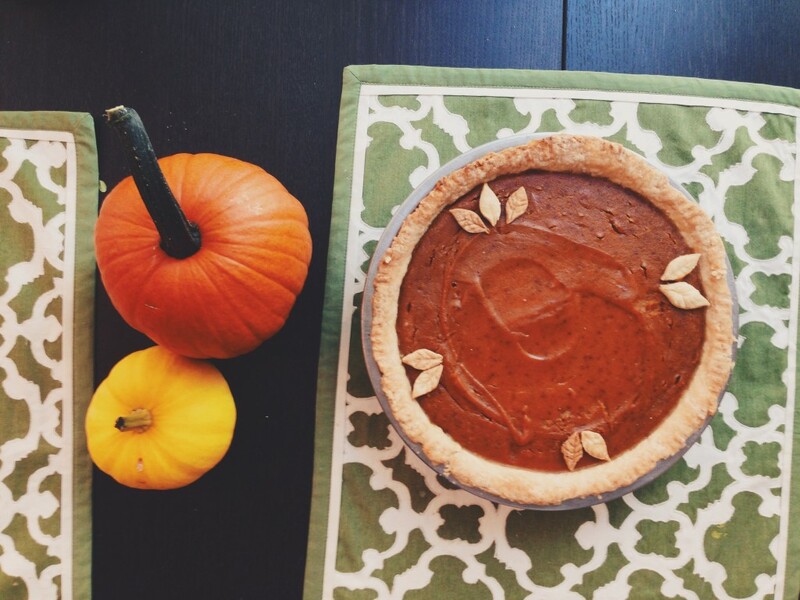 Also, since it’s fall, why not try out a new vegan pump­kin pie recipe? We tried Chloe Coscarelli’s recipe from her new book Chloe’s Vegan Desserts. A very tasty result indeed! Oy Vegan’s attempt at Chef Chloe’s Pump­kin Pie. Isn’t it purdy? 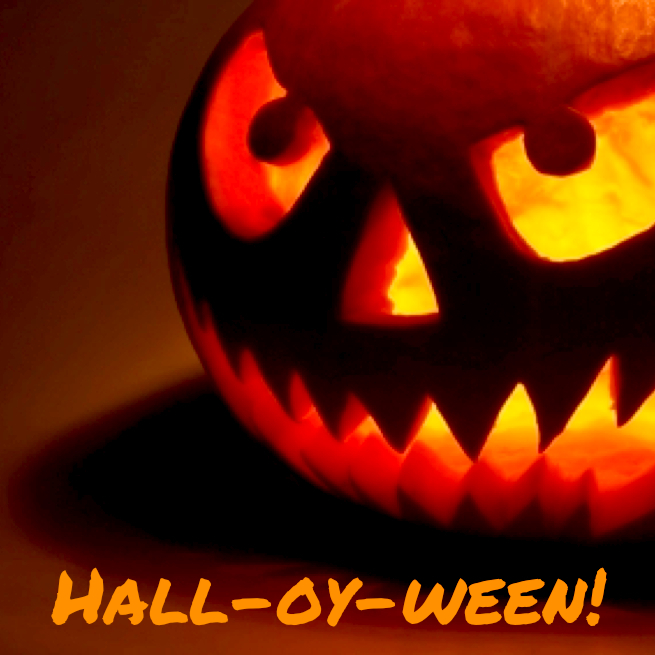 Wish­ing every­one a safe and spooky HALL-OY-WEEN!!! The days are long and hot here in Toronto and recently all I’ve been crav­ing are fruits and veg­gies. For lunch, I usu­ally have a big salad and for din­ner I’ve been exper­i­ment­ing with dif­fer­ent veggie/rice bowl com­bi­na­tions. So, in hon­our of sum­mer, my upcom­ing Sep­tem­ber wed­ding, and feel­ing good from the inside out, I’ll share one of my favourite rice bowl recipes. This is easy to make and oh so tasty! Intro­duc­ing the Ahava Bowl. 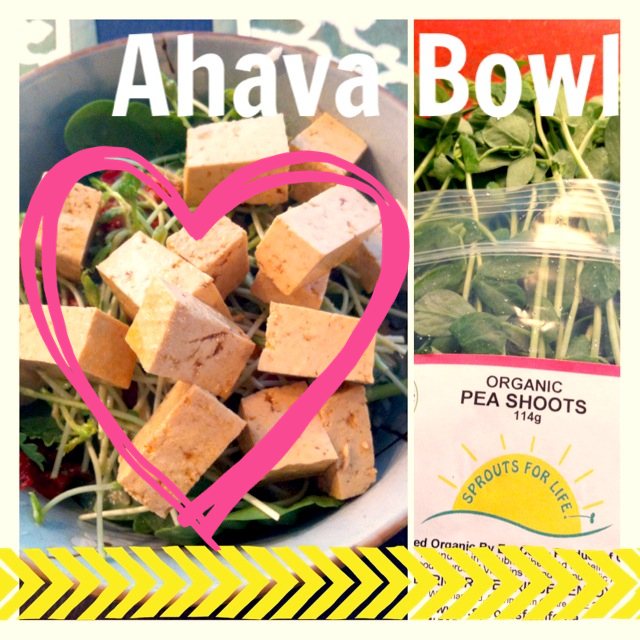 Ahava means love in Hebrew and I think that you’ll love this bowl as much as I do. It fea­tures mar­i­nated tofu, sun-dried toma­toes, pea-shoots, and spinach, on rice with a light gin­ger dressing. • Rice — what­ever type you pre­fer. I use white bas­mati with this recipe which is ready in 25 min­utes! I make 1 cup of uncooked rice which yields about 4–6 servings. • A gen­er­ous heap of pea-shoots. You can also use sun­flower sprouts or any other green sprouts that you can get your hands on. • 4–6 pieces of sun-dried toma­toes. I like to buy the kind packed in oil and herbs. 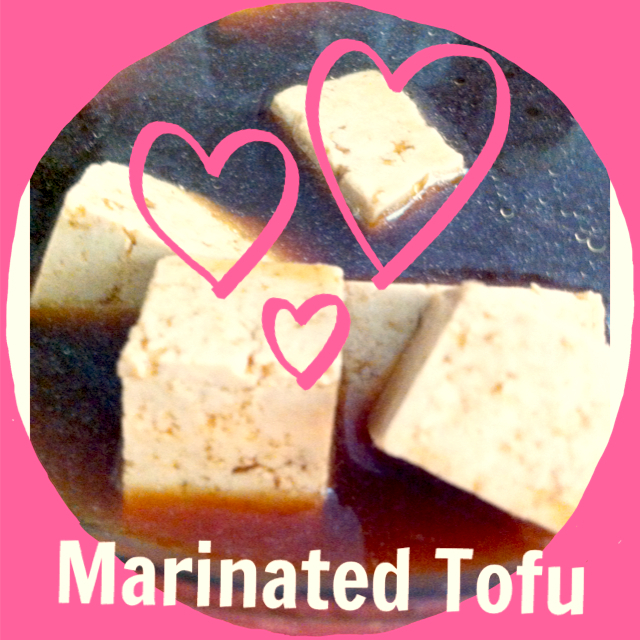 • 1/2 cup of extra-firm mar­i­nated tofu cubes. I eat them as is, but you can fry them after mar­i­nat­ing them if you don’t like the tex­ture of raw tofu. Recipe for mar­i­nated tofu cubes below. 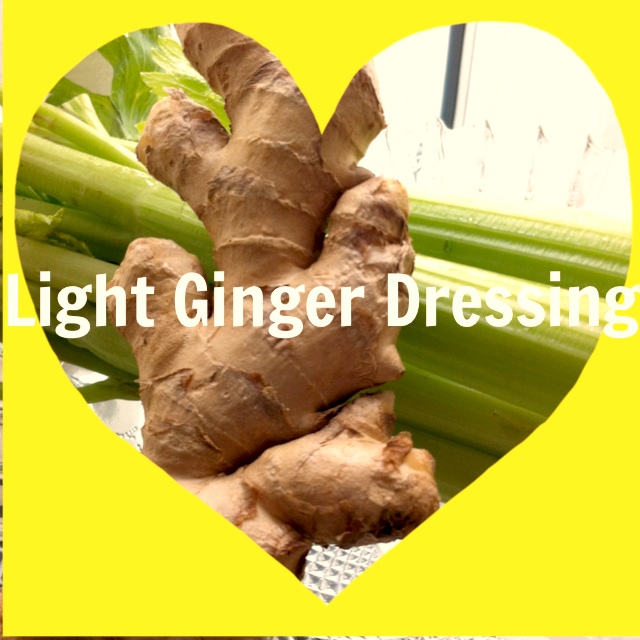 • Driz­zle of Light gin­ger dress­ing. Recipe below. 1. Fill a bowl with desired por­tion of rice. 2. Layer on baby spinach, sun-dried tomato pieces, and pea-shoots. 3. Driz­zle with some light gin­ger dressing. 4. Top with desired amount of mar­i­nated tofu and cilantro. Driz­zle on more dress­ing if desired. 1. Whisk ingre­di­ents together (minus the tofu) in a medium bowl. 2. Drain any water from tofu then wrap tofu with paper towel to absorb excess water. Unwrap tofu and slice into small cubes. 3. Immerse tofu cubes in mari­nade and make sure that all tofu is covered. 4. Mar­i­nate for at least 15 minutes. 5. Use as is in Ahava Bowl, or fry with a lit­tle olive oil over a medium heat if desired. 1. Com­bine all ingre­di­ents in a blender and blend. Store in refrig­er­a­tor for up to 3 weeks. Store any left­over rice, mar­i­nated tofu, and dress­ing in the refrig­er­a­tor for quick and healthy leftovers. Here’s to sum­mer! Here’s to healthy eat­ing! And here’s to love! 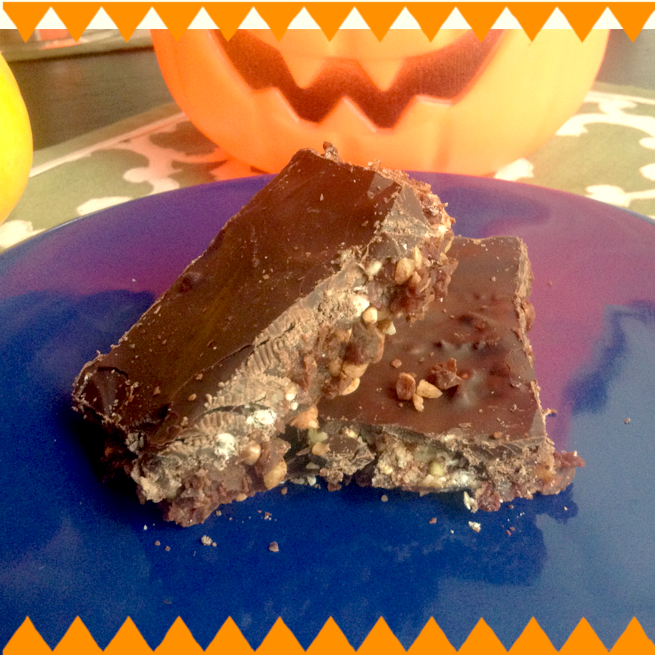 Devilishly Delicious Vegan Halloween Treats! It’s that time of year again! 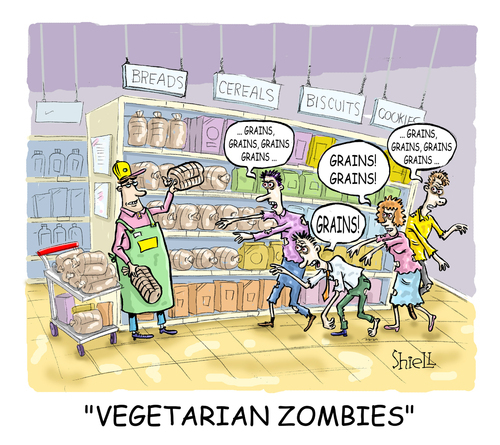 All Hal­lows’ Eve is fast approach­ing so hope­fully every­one is get­ting their vegan snack on. This is one of my FAVOURITE hol­i­days. So I’ve com­piled a list of vegan snacks and treats that I will be mak­ing this Octo­ber 31st. 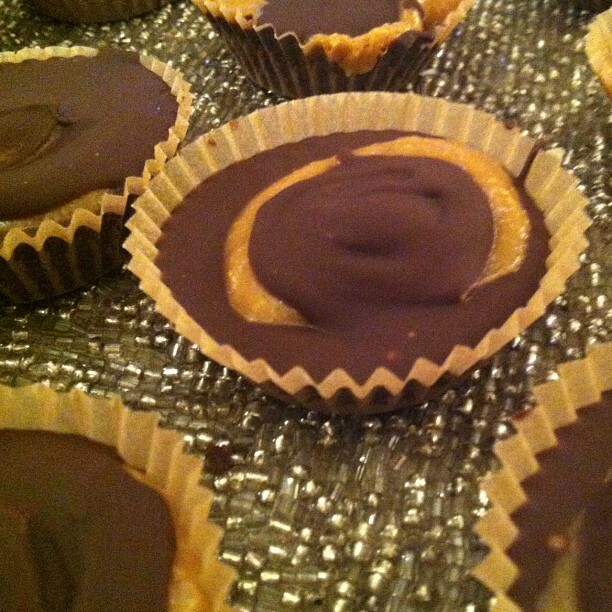 Try these super easy and quick vegan Peanut But­ter Cups from Healthy Happy Life. You can sub other nut but­ters or sun­flower seed but­ter for a nut-free version. I can’t wait to make vegan “Rolo” knock­offs made with dates and chia seeds. 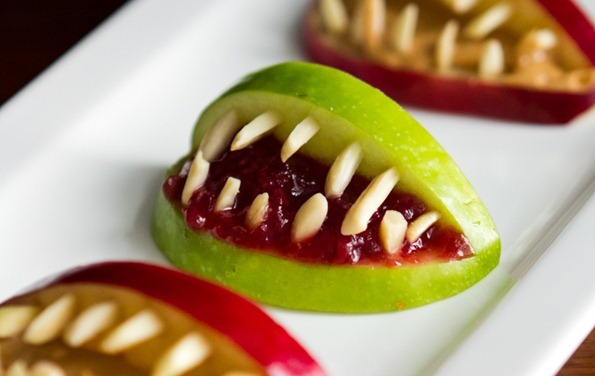 For a health­ier haunted snack these 3-Ingredient Hal­loween Apple Bites look appro­pri­ately ter­ri­fy­ing. Both of these recipes come from Oh She Glows. If you don’t feel like mak­ing any treats this year, don’t stress! 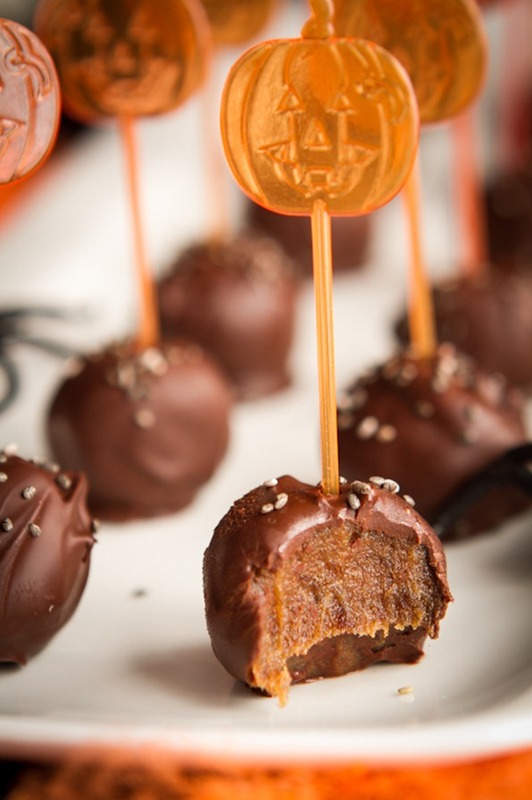 Check out One Green Planet’s guide or the PETAKIDS.com guide to vegan Hal­loween treats!